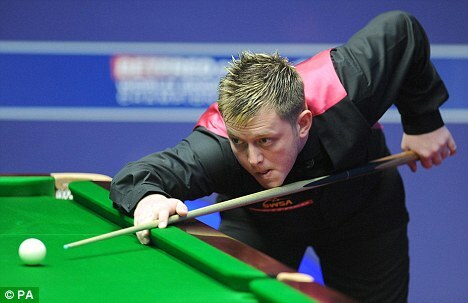 Mark Allen has apologised for his outburst against Cao Yupeng and Chinese players as a whole. The 26-year-old Northern Irishman was fiercely critical of Cao, having claimed the 21-year-old should have called a foul on himself during their first-round match at the Betfred.com World Championship on Sunday. And Allen, who lost 10-6 to the Crucible debutant, also said in his post-match press conference that 'blatant cheating' might be 'a bit of a trait for the Chinese players'. 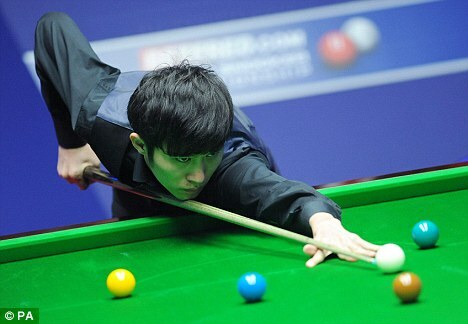 Allen had claimed Cao, who was leading 5-4 at the time, committed a push shot early in the 10th frame. He said he was 'disgusted' with the behaviour of his opponent in not informing referee Paul Collier. Television replays of the incident did not clearly show a foul. Allen's comments about Chinese players have gone down badly in the nation where snooker is a boom sport, hosting many major tournaments, and where he has already caused offence this season. He was rebuked by Barry Hearn, when it was confirmed that Allen has been asked to explain the remarks by the World Professional Billiards and Snooker Association. World Snooker chairman Hearn said players found guilty of such offences could face any punishment up to a ban. Antrim man Allen has already been fined four times for controversial remarks this season, including a foul-mouthed dig at Hearn during the UK Championship. He has paid out over £2,500 in fines. He had caused offence in China before his weekend comments, when branding the island of Hainan , which staged the World Open, as 'horrendous' and its people as 'ignorant'. Allen went on to win the tournament, for his first ranking title.